Questions, voices and eyebrows have been raised about the Sweetheart candies this year. The heart-shaped candies may not be saying goodbye forever, but for now, they will remain scarce or unavailable. According to the National Public Radio, the heart-shaped candies with messages such as “Be Mine,” “Kiss Me” and “Be Happy” will not be on the shelves this year because of the demise of the New England Confectionery Company, Necco. Those who are looking to find these candies will find either another brand such as Brach’s or candies from last year’s batch. According to the New York Times, Necco was producing billions of Sweethearts every year before they closed. 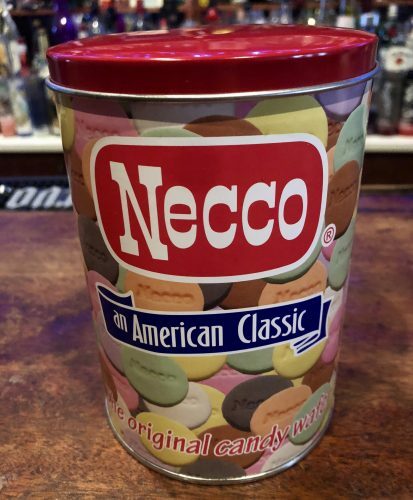 Jimmy Sutman, the owner of Touch the Moon Candy Saloon in Youngstown, said he can understand the economics of Necco and why they were struggling, but he doesn’t understand why someone else didn’t quickly pick up this candy. Sutman said he noticed some of the bigger companies are producing candies similar to the Sweethearts in similar boxes, and there are now Sour Patch Hearts and Sweet Tart Hearts because the bigger companies are anticipating the shortage or complete lack of the Sweethearts. Sutman said people always associate candy with their youth, and it’s upsetting to him and to his customers who come in and ask what happened and why they don’t have them anymore. Mary Ann Yerage, the purchasing manager at Gorant Chocolatier in Youngstown has worked for Gorant’s for nearly 25 years and said Gorant’s carried the Sweetheart candies for a while, but since they were readily available elsewhere, they haven’t carried them. Yerage said this is a novelty item, especially for Valentine’s Day to have that sentiment, and she thinks other brands that are selling the Sweetheart candies will be successful, even with the shortage of the Necco brand. Jon Prince, the president of Candy Favorites, a company Sutman has utilized, said that only one emotion comes to mind: sadness. Prince said people may ask themselves what they have in common with their parents and their grandparents, and there are not many things because every generation has its own interest. Prince said the issue with the Sweetheart candies was money and the property Necco had in Massachusetts was worth more than the business. Prince said people are losing a sense history and connection and this is hard to avoid because of common changes and decisions. According to CBS New York, Kirk Vashaw, the CEO of the Spangler Candy Company, who bought the rights to the candy, wants to make sure the Sweetheart candies meet customer expectations when they return for Valentine’s Day in 2020.